In the aftermath of a death, whether expected or not, there are many tasks that must be handled almost immediately. Many of these responsibilities, such as settling final debts and other legal matters, can only be managed by family or other close representatives. Other duties, such as planning a memorial service and contacting family and friends, should be handled by those who knew the deceased. It can be overwhelming to think about cleaning out another person’s home and disposing of everyday items, let alone cherished belongings, especially if the descendent lives in another town. It seems like there isn’t enough time to do everything, and emotions are often very raw. Hiring an estate cleaning service takes some of the stress out of an already overly emotional situation. Here are a few of the advantages of hiring an estate cleaning service to handle the job and make things easier on everyone. 1. Hiring a licensed, bonded service to sort through the home eliminates the worry about family members or others going through the estate and taking valuables and heirlooms for themselves. Many families have had to deal with bitter fights over accusations of “sticky fingers” during the early days after a death, sometimes enough to divide a family for good. It may be best to let a third party go through the estate to locate and catalog valuables. They can also help locate a professional who can appraise valuables in preparation for sale. Items that the family might think are worthless could turn out to be highly valuable. There are always stories in the news from people who find items at thrift stores that are worth thousands of dollars – that can only happen because someone who didn’t know better donated them in the first place! Some of those figurines are worth more than you might think. 2. Home cleaning service companies can help sort and declutter a home quickly, because they’re not emotionally tied to any of the items. Family members can start with the best of intentions, but become distracted and overwhelmed by old toys, photo albums, or heirloom clothing in closets. Professionals can pack up cookware for donation, but set aside a cherished cookie cutter collection to be given to a family member. 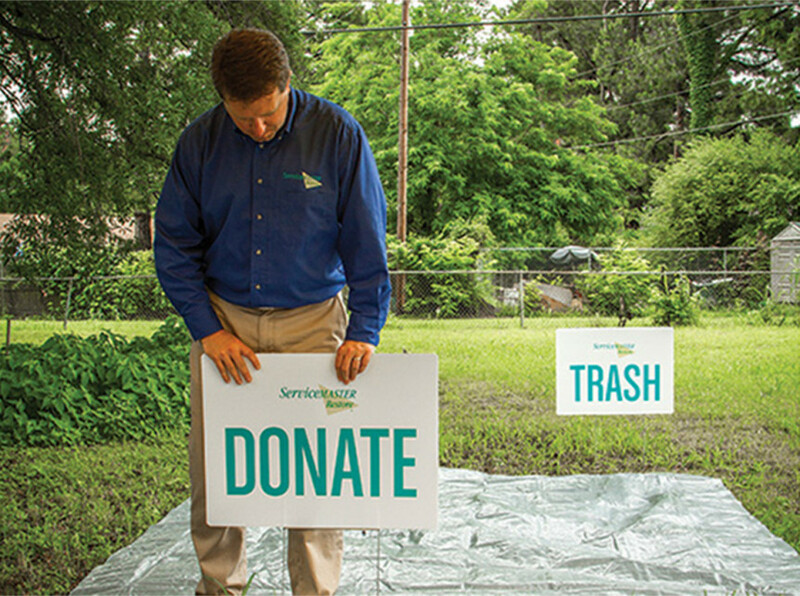 If you choose to donate items rather than sell them, they may be able to help locate nonprofit organizations that would gladly take them. Food pantries can take any unopened canned and packaged food items, while home office supplies can be donated to a school. 3. If loved ones are scattered around the country, using an estate cleaning service is invaluable for delivering cherished items from the estate to them. Most people could ship books or clothing on their own, but packing and arranging furniture delivery requires more work, especially if items are large or are going across the country. They may be able to help arrange a rummage sale to sell items that the family doesn’t want and are still useful, but not valuable enough to put into an auction. Items such as books, linens, dishes, and movies can be sold and the proceeds used to pay final expenses or given to charity. 4. House cleaning services give you the gift of time to spend with the family and friends who gather in the days following a death. In today’s busy society, many people don’t see their extended families unless there’s been a major event, such as a death. By hiring an estate cleaning services company, you can be sure that the necessary cleaning and decluttering are taking place while you reconnect with family and friends and share precious memories. Most people would rather spend time with loved ones they don’t see very often, looking at old photos and videos and catching up on family news than going through closets and drawers, trying to decide what to do with everyday dishes and food from the freezer. 5. Often after a death, the estate is sold to pay final expenses and a home cleaning service can help prepare it for listing by a real estate agency. They will clean all the places most people don’t think to check at the best of times, such as baseboards and vents, and get the property ready to be shown to potential buyers. This is especially useful when the property is located away from the rest of the family, such as a “snowbird” home that’s been shut up for several months. 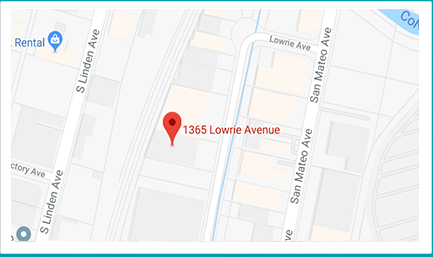 If you need estate cleaning or hoarding cleaning services anywhere in the San Francisco, CA area, call ServiceMaster Disaster Restoration and Recovery. We have 60 years’ experience in the clutter cleaning business and we treat all our clients with respect and compassion. We’ll help locate valuables, distribute donations, remove debris, arrange for shredding and recycling, and work with attorneys and government agencies on any necessary paperwork. There are so many things to do after a death that only loved ones can manage. 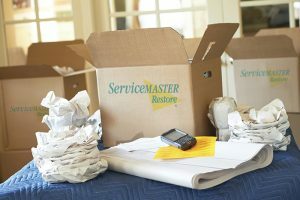 Let ServiceMaster DDR take this burden for you. 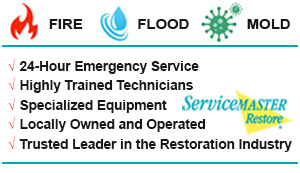 Our highly trained technicians are available 24 hours a day, 7 days a week, 365 days a year, whenever you need us. Estate cleaning service costs vary, depending on the size of the property and the extent of the cleaning and decluttering needed. Be sure to use a reputable company that is trained and bonded before you trust them with your loved ones’ property.